The chestnut is the most useful tree in the world. There are 4 major species – American Chestnut (Castanea dentata), European Chestnut (C. sativa), Chinese Chestnut (C. mollissima) and Japanese Chestnut (C. crenata) and 9 less important species of the genus Castanea in the world. Considering the importance of chestnuts as a high carbohydrate food source for thousands of years, and the beautiful, rot-resistant wood that is used from everything from vineyard stakes, fence posts to siding and bridge timbers, and was a major source of tannin for tanning leather, is there any tree that provides this range of uses and value? Oaks, pines, and fruit trees each provide single uses for timber or food, and many have a larger total monetary value for the that use or crop than chestnuts. However, no tree species in history has offered such a wide range of uses or importance. It is little wonder that chestnuts have been grown by every major culture, and transported in conquests and explorations to every continent where it could be grown. Chestnuts appear in the fossil record over 85 Million years ago, in North America, Europe and Asia. The 13 existing species of the chestnut genus all inter-hybridize readily, indicating that they are not highly differentiated from the parent species. The European Chestnut is native to the forests of the Caucasus region around the Black Sea. Chestnut is thought to have gotten its name from the city Kastanis in what is now Georgia on the east side of the Black Sea, and has been cultivated in this region for thousands of years. The Arabic word ‘kastanat’ and Persian word ‘kastana’ originate from the Sanskrit word ‘kashta’ which means tree. Chestnut was the most important tree species in ancient eastern Europe. Chestnut was transported west to Greece over 4,000 years ago, and Homer wrote about chestnut, calling the nuts “marronia”. Theophrastus, the Greek ‘father of botany’ called chestnut the “Dios balanos” or the Zeus Acorn (God’s acorn). The physician Hippocrates, the Prophet Isaia, and the historian Xenophon all wrote of chestnut. There are several towns in Greece today called Kastania. The nuts were harvested and exported in trade with other countries. 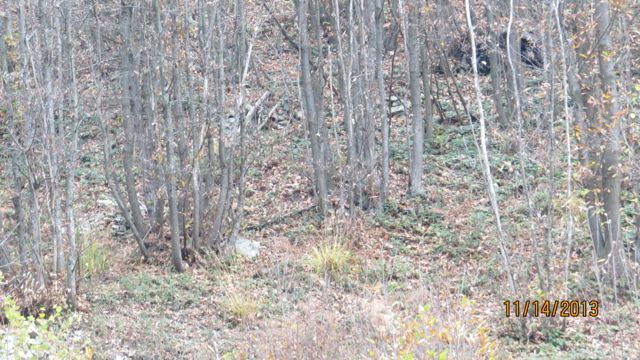 In Turkey today there are extensive chestnut forests both wild and cultivated, and there are individual chestnut trees that are more than 1,000 years old still alive. Imagine the bounty that such a tree has produced throughout its life! Merchants of ancient Rome brought chestnut back with them. Because of its many uses, chestnut was prized by the Romans and spread throughout their empire all over Europe - in Spain, Germany, France and as far north as England. Today, in old Roman villages and settlements you can find chestnuts and grapes planted as part of the way to provide food and wood for the legionnaires. For instance, there are chestnut trees growing along Hadrian’s Wall in northern England, constructed by the Romans to keep the wild Scottish tribes out of their settlements further south. The Romans embarked on a process to improve the quality of the nuts and wood, orchards were planted with grafted trees, and forests in the mountainous regions were established for wood production where traditional agriculture was not possible due to the steep slopes. The monks at monasteries kept the knowledge on how to graft and propagate the trees. King Charlemagne directed planting of chestnuts during his reign. Pliny the Elder, the Roman naturalist, author and army commander, discussed the planting of chestnuts in his work Naturalis Historia. Today the results of these efforts over the centuries have created different quality chestnuts based on their characteristics. European chestnut varieties are divided into two types – the large, sweet-flavored nuts called marroni that are more readily peeled, and the less flavorful, smaller more wild-type nuts called castagna or chataignes that are difficult to peel. Today, much of the mountain regions of Italy are chestnut forest, both cultivated for nut production and uncultivated, that is used for timber and coppice. There are grafted orchards with trees that are 500 years old still being harvested every year. The 1000 year old Chestnut of a Hundred Horses still lives on the side of Mt. Etna, which sheltered Joanna of Aragon and a hundred knights and horses. The main areas of production in Italy are Piemonte in the north, Tuscany and Umbria in central Italy, and Campania and Calabria in the south. Italy is one of the principal exporters of fresh chestnuts to Europe and the United States, despite weathering an attack by the Oriental Chestnut Gall Wasp. Spain, France and Portugal all have thriving chestnut export industries, as well as Turkey. Most of the other European countries that can grow chestnuts have established industries that provide nuts for their local economy. Europeans have taken chestnuts with them in their colonization of the world.There are orchard industries in Chile, Argentina and Brazil, where the climate supports chestnut growth. Australia also has a small chestnut industry that exports primarily to Japan during the opposite season, as well as provides for its diverse ethnic populations. Asia is the largest producer and consumer of chestnuts in the world. The use of chestnuts as food over 9,000 years ago in Japan is documented in carbonized nuts found in ancient villages. Recent programs have mandated the large-scale establishment of chestnut orchards in many different regions of China. China and Korea are the largest producers of chestnuts in the world. The Chinese chestnut has a flavorful nut and is resistant to chestnut blight. Korea grows Chinese-Japanese cultivars. Japan is also a major consumer of chestnuts. Japanese nuts are large, but do not have nearly as good a flavor as Chinese nuts. Chestnuts were present in North America during the Eocene Epoch, beginning over 50 Million years ago. During the Pleistocene Ice Age 18,000 years ago, chestnut was pushed south as the temperate forests retreated to the warmer climate near the Gulf of Mexico. As the glaciers receded, chestnut trees moved north as the temperate forest expanded. The chestnut tree became one of the dominant species in eastern North America from what is now southern Maine, growing west to the Great Lakes and south to the Gulf Coast. The heart of the range was the Appalachians, where in some areas it made up almost 100% of the forest. In the cool, moist, temperate rainforest of the Smoky Mountains, trees grew 12' or more in diameter, and over 100' tall. The incredible mast production of the chestnut was the primary food for all wildlife and game species - bear, deer, elk, squirrel, the huge flocks of turkey, and was a key food for Passenger Pigeons. After the last ice age aboriginal humans first colonized America via the Bering Sea Land Bridge. It is not surprising that archaeologists find chestnut remains in many excavations all over the east, as the bountiful harvest provided an important carbohydrate food supply during the fall that could be stored through the winter. Unlike acorns, which had to be boiled for hours to remove the bitter tannin so they could be eaten, chestnuts were sweet right from the tree. The early explorers such as Hernando de Soto and colonists of America found this extensive primeval forest. Early accounts described the nuts as knee-deep under the trees during harvest! The rot-resistant timber was also prized, for the trees could be cut, and sprouts from the stumps regrew rapidly into straight-grained lumber. J. Russell Smith, the famous plant explorer, said "By the time a white oak acorn grows a baseball bat, a chestnut stump grows a railroad tie". Chestnut became an important food source in the fall for the early European settlers and was a key food source for the game they harvested. American chestnuts are small, but have a rich, nutty flavor. This gave rise to the culture of eating chestnuts in the autumn at Thanksgiving and Christmas and was memorialized in song and literature. Chestnuts were gathered in the forests, as well as some small groves were planted to feed the growing urban population as the country developed. They were an important source of food for livestock, and hogs and cattle were fattened for the winter on the prolific crop. Wild trees were tended like orchards and having a grove was a valuable asset on your land. In the mountains, where the chestnut covered mile after mile of forest, the nuts were gathered by families and traded with the stores for goods, who shipped the nuts into the cities. There were not many things in the mountains besides moonshine to sell for cash, and chestnuts were an important part of the mountain economy every fall. However, in 1904, a bark fungus (Cryphonectria parasitica) was accidentally introduced from China into New York City that killed off virtually the entire population of American Chestnuts throughout its range from Maine to Georgia. The Chestnut Blight was easily the greatest ecological disaster in American history, though it is almost forgotten today. Over 30 million acres of chestnut forest were killed in 40 years! Much of this loss occurred during the Great Depression, so the impact on both the mountain people that ate chestnuts, and the game that depended on it in the fall, was doubly devastating. Few alive today remember what these forests were like, just like the WWII veterans, most are gone now. My grandfather Dr. Robert Dunstan, described the Smoky Mountains being like a sea of white with chestnut blossoms in the early summer. What remains of the original chestnut forest exists today as wood in houses, barns and furniture. As the trees died out, they were logged and many of the areas of the country that were built during the 1930s were constructed of chestnut lumber. Today it is hard to find chestnut wood – it has to be obtained from salvagers and recyclers from old buildings being torn down. America today is the only country in the world that can grow chestnuts that does not have an extensive chestnut industry. This is in great part due to the loss of the American chestnut. Unless you are of recently European or Asian heritage, chestnuts have become lost in our memory. Americans have not grown up with chestnuts as part of their food culture. Everyone can sing “chestnuts roasting on an open fire” but few have ever eaten a chestnut, especially the younger generations. 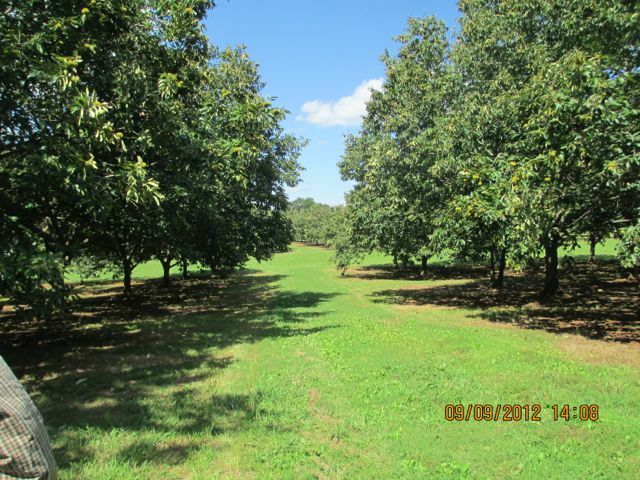 Today we have cultivars of chestnuts that allow the establishment of an American chestnut industry, and access to unique products made with chestnuts. We are at a time of rebirth of chestnut as an important food and wildlife tree for North America again. Chestnut has been called the Bread Tree – it has a been staple in the diet for people all over the world for thousands of years. It is a very high quality food source, with the nutritional makeup of a grain, yet grows on a tree, without annual tillage of the soil, and can bear crops for 100s of years. Nutritionally, chestnuts contain 40-45% carbohydrate, 5-8% protein, 2-3% fat, and the balance is water. Chestnuts are very low in fat and have no cholesterol. Nutritionally, chestnuts are similar to brown rice, but with twice the protein and 1% of the sodium. The protein is very high quality, with an amino acid balance similar to milk or egg, both of which are considered the perfect protein. They contain high amounts of Tryptophan, Isoleucine, Lysine, linoleic acid and sulfur-containing amino acids. Chestnuts also contain high amounts of Potassium and Vitamin K, and Vitamin C, B1, B2, and Niacin in levels similar to fresh fruit. Chestnuts are also gluten free, and can be incorporated into many foods as a gluten free flour substitute. For more information on chestnut nutrition, click HERE. By comparison, all other nuts are very high in fat, as much as 50-60% (almonds, walnuts, etc). The American Heart Association promotes a high carbohydrate, low fat, low sodium diet as a principal defense against heart disease. Until the introduction of the potato and maize from the New World, entire communities depended on chestnuts as a primary source of food and carbohydrate. The mountain people’s culture revolved around the chestnut. It was a staple in their diet, being eaten fresh after harvest, then the stored ones were consumed, then the dried chestnuts, and finally the sweet tasting flour, added to soups, stews, polentas, and made into cakes and breads. Dried chestnuts will last a year, providing food all the way to the next harvest. They were also fed to animals, and the rot-resistant wood was used in building everything from fences to vineyards to houses and barns. Chestnut was survival for the peasants during bad economic times. After the fall of the Roman Empire, during the Middle Ages, and during the Great War and World War II, chestnuts were critical for the people of the mountains, providing a very valuable source of carbohydrate. It is only recently, with the movement of families into the industrialized cities, that the dependence on the chestnut tree and its culture has declined. Traditionally, chestnuts were harvested by hand, raking the nuts and burrs into piles in the mountainside orchards. The nuts and burrs were transported by mule and cart to the homestead. Placed on the cool north side of a building, the nuts and burrs were covered with a layer of green chestnut leaves, where the nuts could be stored for several months. To dry the nuts for longer storage, the nuts were placed on a raised ventilated floor of special buildings, where a chestnut wood fire was kept lit below, and the warmth and smoke from the fire slowly dried out the nuts. Once dry, the shells could be easily removed. To cook with these nuts, they simply had to be re-hydrated again by boiling in water. The dried nuts were also ground into flour with stone mills. The smoky sweet flavor is excellent, as the carbohydrate turns to sugar as the nuts dry. Chestnuts were also an important food for livestock. The nuts were fed to hogs and cattle during the winter, and the animals were put out into the orchards after harvest to clean up the rest of the nuts. The sweet nuts impart a sweet flavor to the meat, and chestnut-fed pork is considered a delicacy in Spain and Italy. Chestnut leaves were also nutritious fodder for animals, and dried leaves were used as bedding for livestock during winter. Chestnut forests also provide other delicacies. A number of edible mushrooms grow in association with chestnut trees – including truffles, porcinis (Boletus edulis) Ceasar’s mushroom (Amanita casearea), chanterelles (Cantarellus) and Russula mushrooms. Honey made from chestnut blossoms is not very sweet, but has an intense, distinctive and astringent flavor. It is considered an aphrodisiac in Italy. Beekeepers depended on chestnut, as the trees flower late after many of the other tree species have finished. Chestnut wood has up to 20% tannin content, the highest of all tree species. This makes the wood extremely rot resistant. Chestnut trees, especially when grown in forest settings, grow straight and make excellent lumber which were cut into durable straight-grained planks or could be split easily for fencing and posts. Dr. Robert Dunstan described how you could put a chestnut fence post in the ground for 50 years, pull it up, turn it over, and get 50 more years out of the other side! Because of this rot resistance, chestnut wood was used for ship-building, bridge timbers, railroad ties, exterior siding, barn and house posts and beams, flooring, doors, windows, exterior trim and any other area that was exposed to the weather. Chestnut tracks were used in the invasion of Normandy in WWII to get over the sandy beaches. Chestnut was also made split rail fences, fence posts, vineyard trellises, water well-casings, wine casks, barrels, baskets, furniture and caskets. Chestnut is truly a tree that carries people from cradle to grave. Chestnut trees were coppiced for various uses. When the tree is cut, the stumps send up multiple sprouts very readily (this is seen today in America, where the roots survive the blight underground, and send up shoots again and again, to become re-infected with the blight). The coppice shoots were harvested at various cycles depending on the use. Vineyard trellises and stakes were cut after only 2-3 years, fence posts after 10-20 years, whereas saw logs were cut on a 50-70 year basis. Today there is still a strong demand for chestnut timber as an alternative to chemically treated pine for exterior uses. In Linville NC, chestnut bark was used as shingles for siding many of the houses in this community. This was a traditional Appalachian building technique, and many buildings survive today, including the beautiful All Saints Episcopal Church, in which the entire building- beams, rafters and siding, was made of chestnut in the 1910. Unfortunately today, 100 years later, there is no more chestnut wood left, so Tulip Poplar bark has become a substitute, but it does not have the rot-resistance of chestnut. Tannin is extracted from the wood for use in the tanning industry for dyeing silk and leather and in the production of varnish and other products. The wood was finely ground and the tannin leached from the wood by soaking in water. This traditional industry was common in the mountains of northern Italy, but is declining due to the use of substitute materials. The Greek father of pharmacology Dioscourides and the Roman Galen reported on the medicinal qualities of chestnut. Chestnut leaves have up to 95% tannin and high amounts of Vitamin K. Teas made from the leaves are a cure for respiratory diseases such as whooping cough, and mixed with thyme makes a powerful medicinal syrup that is used to treat cough, diarrhea, backache and intoxication. Tea made from chestnut flowers is supposed to cure sinusitis. An extract made with ethanol from chestnut leaves and nuts has many pharmacological activities. Milk made from ground chestnuts is used as a lactose free alternative for children. Chestnut honey, in addition to its purported ability to enhance libido, is used in treating gastritis and liver problems. The high fiber content is good for digestive health. Throughout the chestnut regions of Europe, the end of chestnut harvest was celebrated with a large banquet with much food and wine. This is similar to our Thanksgiving harvest celebration in America. All Saints Day (1 November) is a Catholic holiday and celebrated by eating chestnuts and drinking new wine in Italy and Spain. The tradition was to play music at night for the dead and to ring the bells at dawn. Other similar traditions in which chestnuts are eaten include the Festival of St. Martin (11 November) throughout Europe, and Guy Fawkes Night (5 November) in England. At Christmas, chestnuts are traditional food, and candied chestnuts (Marron Glace) were given as gifts by the royalty. Chestnuts were one of the 13 foods offered baby Jesus, and on Christmas Eve, chestnuts are traditionally left out for Jesus to taste while people were in church. Chestnuts were considered a valuable gift for the holidays. To early Christians, chestnuts symbolized chastity, and were symbolic of hidden virtue and honesty. It is also considered a symbol of fertility. In Greek mythology, before the stork, children were said to be found in the hollow of an old chestnut tree. Artemis, the goddess of the forest, transformed herself into a chestnut tree to escape the desires of Zeus, and the tree became named chestnut because Artemis remained chaste because of this. The French have a tradition of putting chestnuts under the mattress to keep bad spirits from ‘pulling one’s feet’ during the night. In Japan, chestnuts were eaten for good luck in battles in war and when fighting with disease. In Georgia, when asking for something that is very nice but hard to obtain, it is known as “asking for boiled chestnuts”. The chestnut roaster on the street on a cold winter day was like the ice cream vendor to children. Throughout Europe, many cities and towns derive their name from chestnut – La Castaneda, Castanero, Castaneras, Castanar, Castano, San Martin de Castanar, Kastanis, Kastanea, and on and on. In America, Chestnut Hill is a common place name, as is Chestnut Street. The legend on how the chestnut got its burr is told that chestnuts used to hang on the tree like apples, and the chestnuts themselves were tired of being preyed upon by squirrels. They went to the chestnut tree to ask what to do, and he said ask the hedgehogs. The hedgehogs invented a plan that the hedgehogs would roll themselves in a ball around the chestnuts and this worked – the squirrels got poked by the spiny burrs and learned not to try to eat the chestnuts any more. Another legend is that the chestnut is a divine gift – when you open the burr it is shaped like a cross. The chestnut is said to have 3 nuts in a burr because they are to be shared – one for the landlord, one for the peasant and one for God – to be replanted.